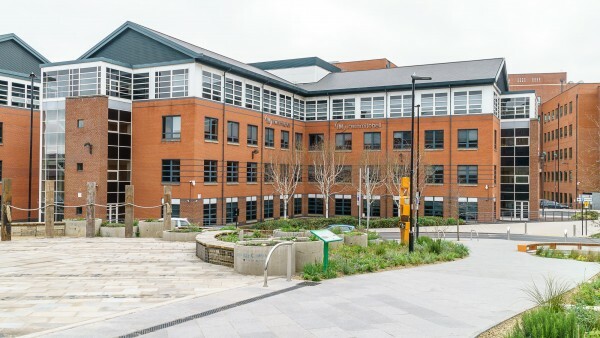 Sheffield is England’s fourth largest city and the commercial, administrative and retail centre of South Yorkshire. The city is located 150 miles (240 km) north of London, 33 miles (53 km) south of Leeds and 38 miles (61 km) east of Manchester. 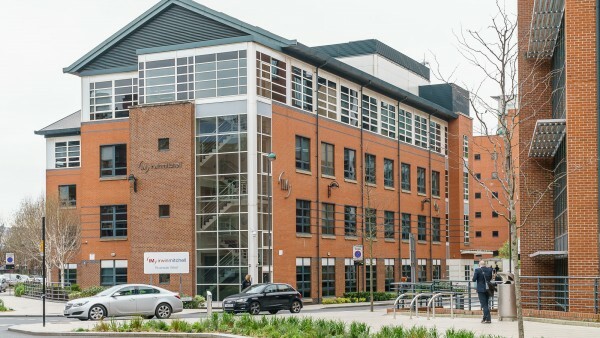 The city benefits from a central location within the UK and is adjacent to the M1 Motorway. 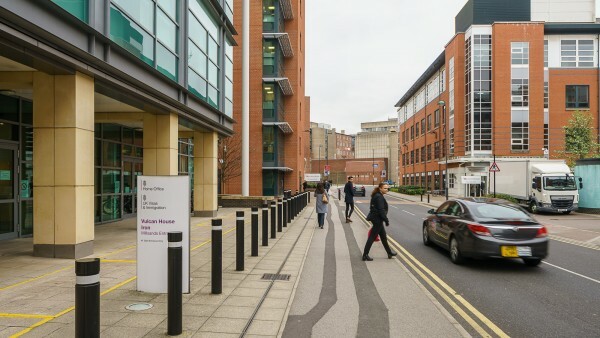 Sheffield enjoys excellent communications to destinations within Yorkshire, together with other major towns and cities in the north of the UK. The city is served well by the national motorway network, with Junctions 31 to 34 of the M1 on the eastern fringe of the city, approximately 4 miles (6.5 km) from the city centre. The M1 provides direct access to key towns: to the north (Leeds, Barnsley and Wakefield) and to the south (Nottingham, Milton Keynes and London). In addition, the M18, accessed at Junction 32 of the M1 provides direct access to the Humberside Ports. Furthermore, the A57 and M67 provide access to Manchester, approximately 38 miles (61 km) to the west. Sheffield railway station is located approximately 0.5 miles (0.8 km) from the property. 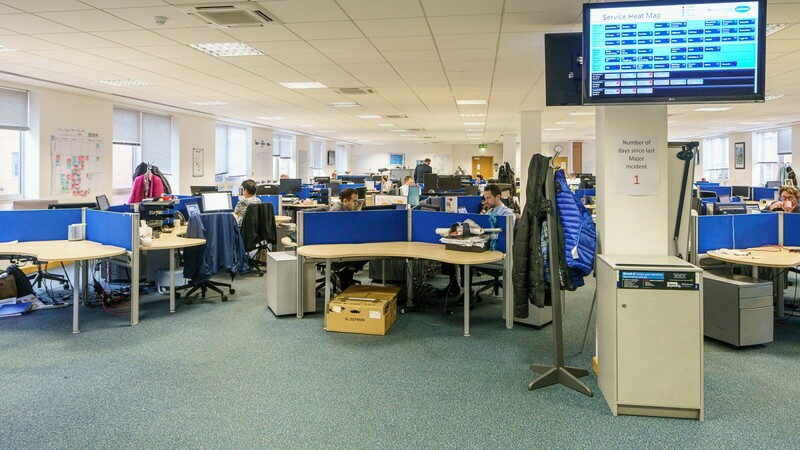 It provides direct services to many UK cities with the approximate fastest journey times: London St Pancras 122 mins, Leeds 40 mins and Manchester 51 mins. 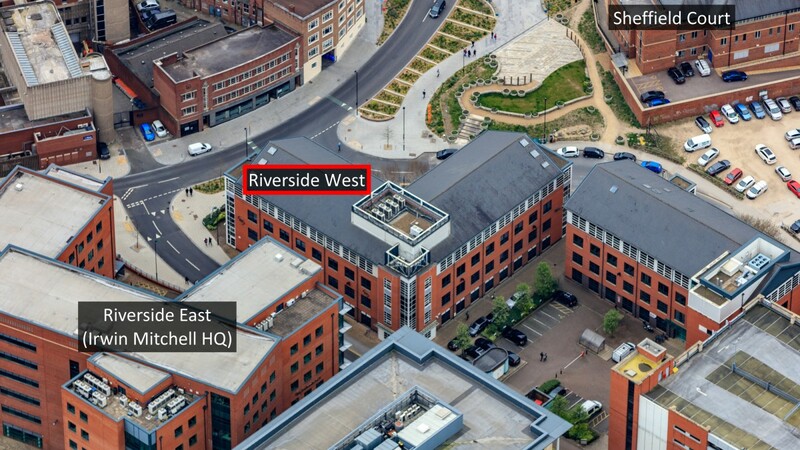 Sheffield will also be one of the key stations on the HS2 Northern Extension which encompasses Leeds, Manchester and an East Midlands hub between Nottingham and Derby. Manchester, East Midlands and Leeds-Bradford airports are located 47 miles (76 km), 53 miles (85 km) and 45 miles (72 km) away respectively. 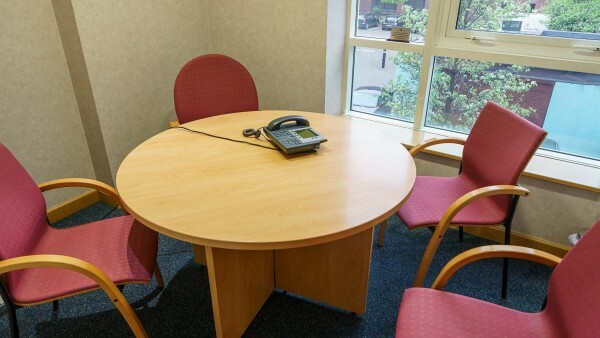 All provide a range of national, European and international services. 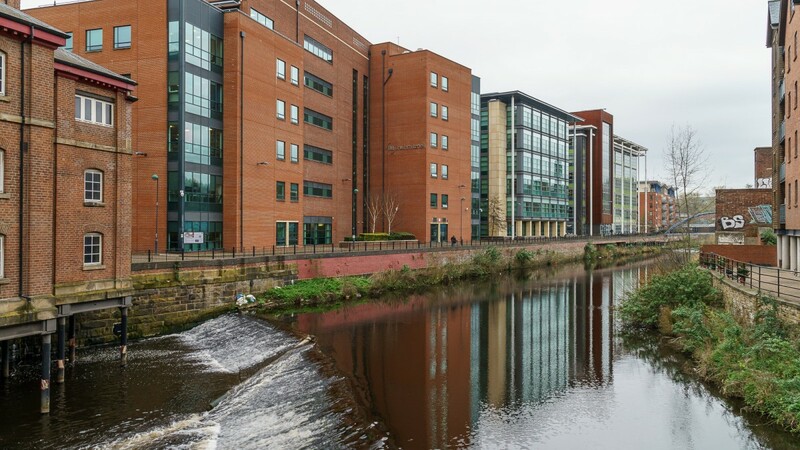 The city has a population of approximately 550,000 people and in excess of 1.17m living within 20 km (12 miles) of the city centre. This is expected to increase by more than 122,000 by 2033 (2011 Census). Approximately 240,000 people work in Sheffield, in around 20,000 businesses, 85% of these in the service sector. The city has an estimated commercial economy of £9bn per annum. 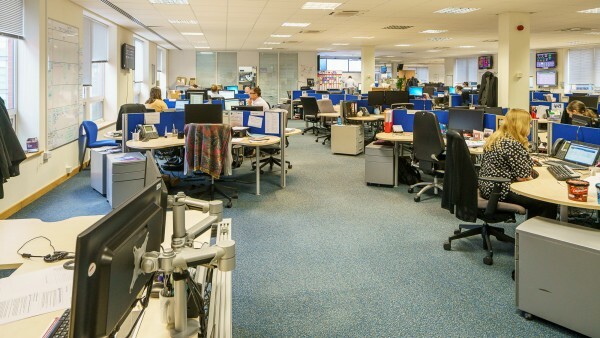 The city has a strong financial presence with major employers including HSBC, Santander & Aviva. 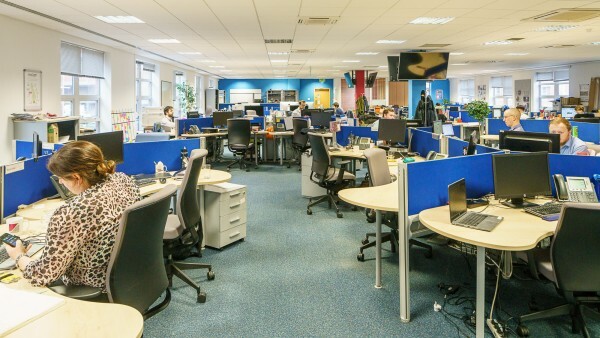 Other large private sector companies include Capita, Nabarro, PWC, Plusnet, BskyB and DLA Piper. 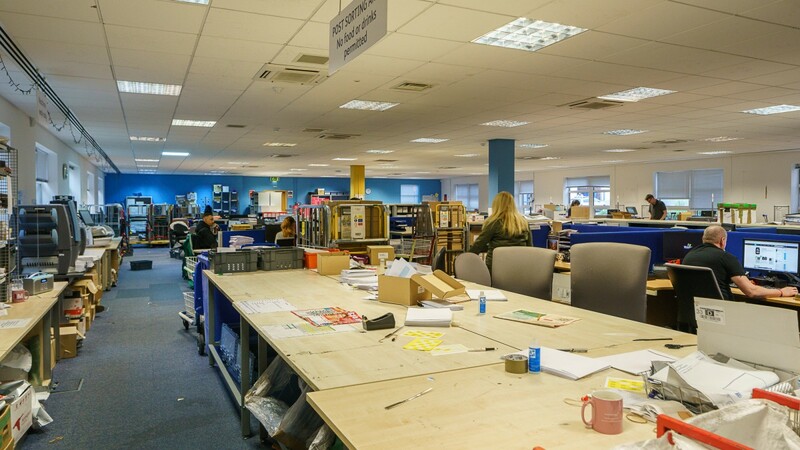 The city also has a large public sector presence within Departments of Education & Skills, Work & Pensions and the Home Office being strong representations. McLaren Automotive is to open a £50m manufacturing plant in Sheffield that will create more than 200 jobs, a major boost for the city and local economy. Sheffield is also a major education centre with Sheffield University (Russel Group) and Sheffield Hallam University having approximately 48,000 students. Riverside Exchange is situated just to the north of the traditional office core and is on the edge of the principal retail area of the city centre. 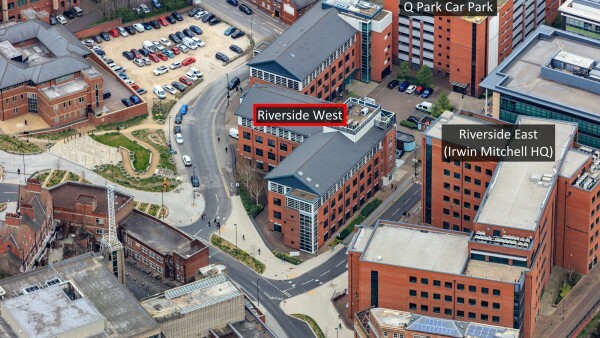 Riverside Exchange has been developed around a central spine, Millsands, which is accessed from Bridge Street, part of the city’s inner ring road (A61). 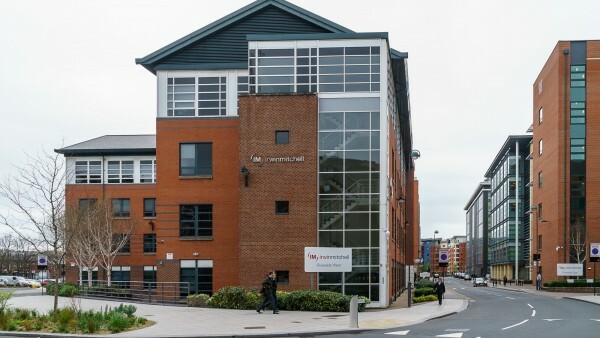 The A61 and A57 link the city centre with Junctions 33 and 31 of the M1 motorway 6 miles (9 km) to the east and 10 miles (16 km) to the south east respectively. Furthermore, the A6109 and A6178 provides direct access to Junction 34 of the M1 motorway, 3.5 miles (5 km) to the north east of the scheme. Sheffield rail station is located approximately 0.5 miles (0.8 km) to the south, accessed via the A61 ring road or is approximately 10 minutes by foot. Riverside Exchange is within walking distance of numerous city centre amenities including the main retail offer, leisure and restaurants. 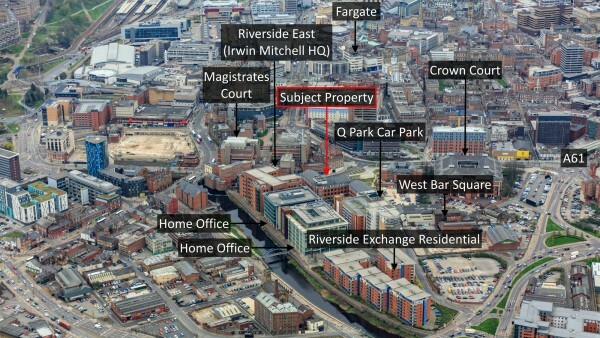 It is well located for public transport including the central bus station, railway station and Castle Square tram stop. Riverside West is located at the southern end of Millsands at its junction with Bridge St, and very close to the law courts. Riverside Exchange is one of Sheffield’s eleven designated city centre Quarters and is one of the city’s largest regeneration schemes. It is situated on the former Exchange Brewery site and was developed in phases by Wilson Bowden plc from 2000 to 2008. The scheme has transformed the area into a vibrant, mixed-use location providing approximately 380,000 sq ft of office accommodation, a 500+ space multi-storey QPark car park and 370 apartments within five residential blocks. 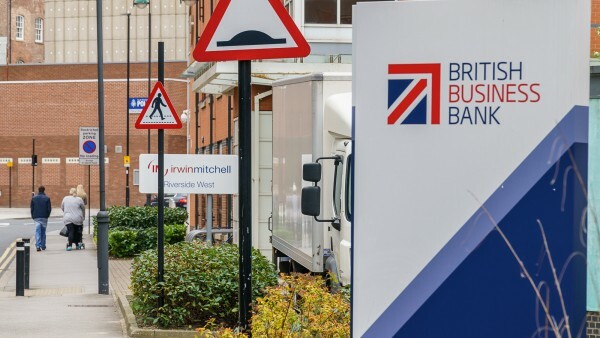 It is considered to be the city’s professional district with over 1,500 employees and local occupiers including The Home Office, Howells Solicitors, Department for Environment Food and Rural Affairs (Natural England), British Business Bank and the Health & Safety Executive. 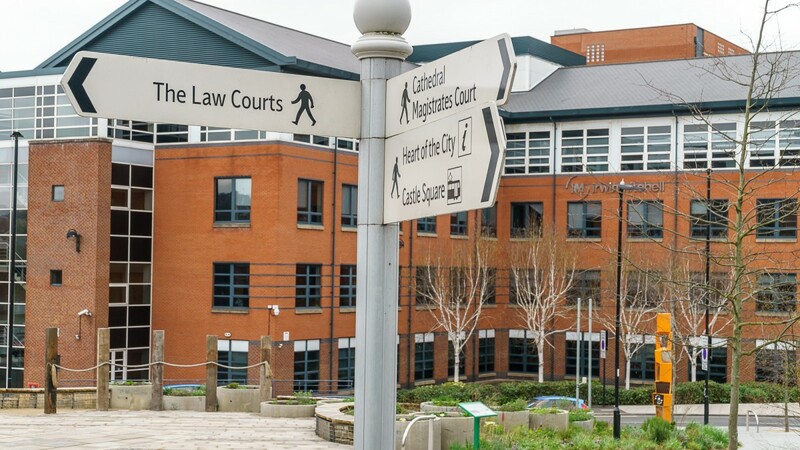 The immediate surrounding area has a strong legal presence with the Family Court and Crown Court to the west of the property and The Magistrates Court and South Yorkshire Police station to the south. 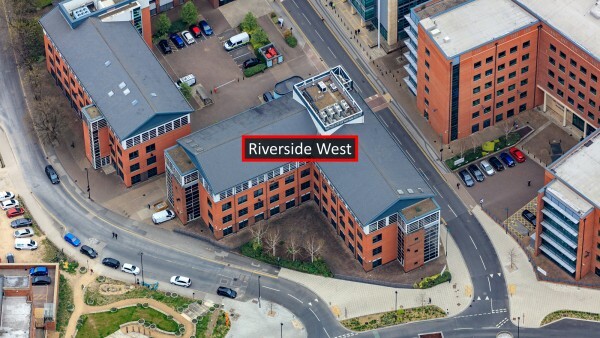 Irwin Mitchell, tenant of Riverside West, also occupy a second office building directly opposite the subject property as their UK headquarters, confirming their strong commitment to the location. 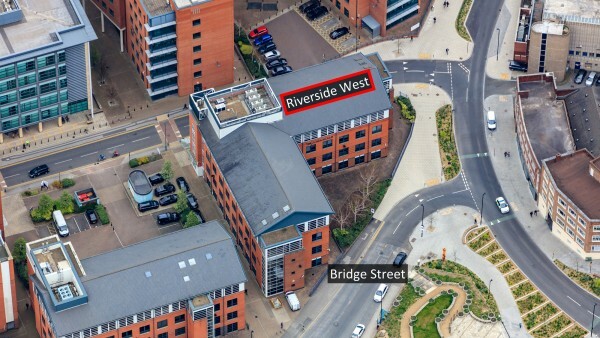 Directly adjacent and effectively an extension of Riverside Exchange this scheme is a joint venture between Bolsterstone Plc & Bowmer and Kirkland. 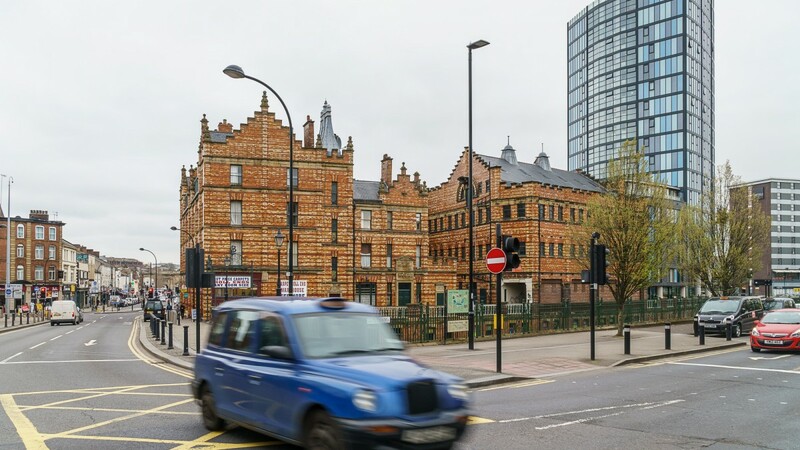 It recently received outline planning consent for a mixed use commercial & residential scheme of circa 1.4 million sq ft with an estimated GDV of £250m. 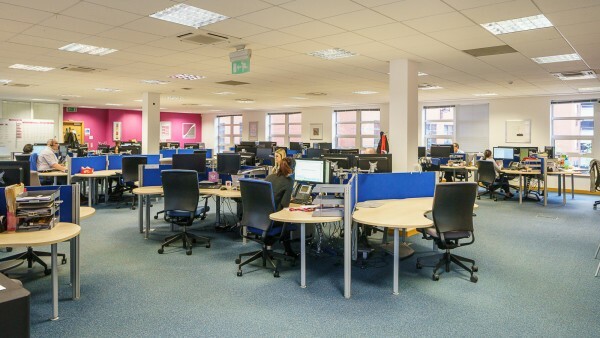 Detailed design work is underway for over 326 residential units together with spec offices. 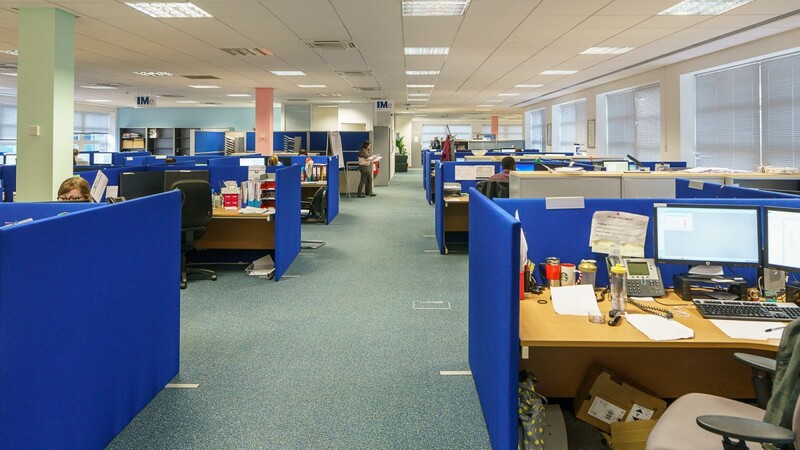 In respect of the latter, office rents of £22 per sq ft are being targeted. A previous phase of this development has already been completed linking Irwin Mitchell to the adjacent law courts and West Bar. 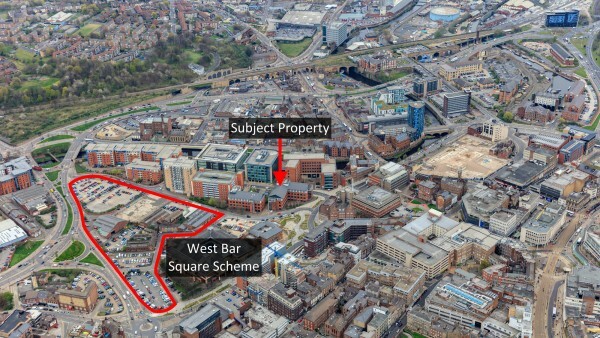 For further information see www.westbarsquare.com. 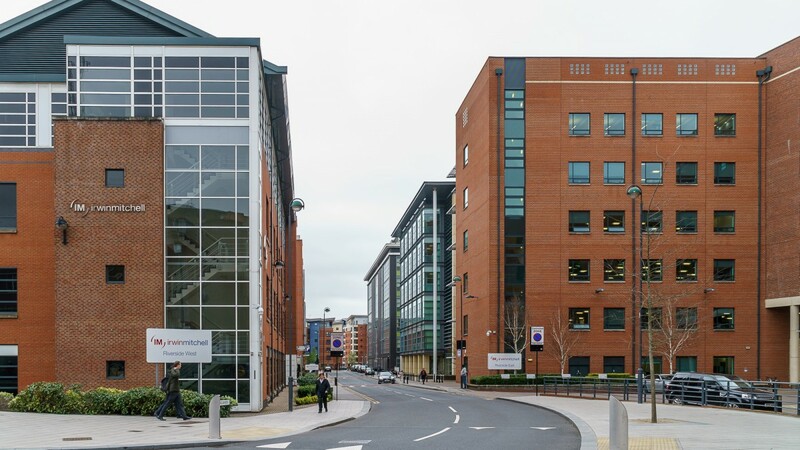 Sheffield is a large office centre with an estimated stock of approximately 11.5m sq ft (929,000 sq m). 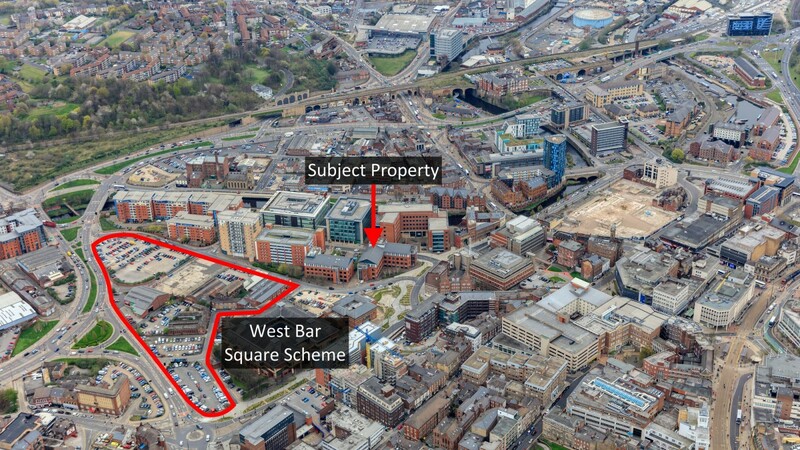 There is no defined central core with the main office buildings and developments dispersed around the city centre. In this regard, the latest developments of note include Riverside Exchange (35,303 sq m / 380,000 sq ft), St Pauls Place (28,335 sq m / 305,000 sq ft) and Digital Campus which will exceed 21,368 sq m (230,000 sq ft). 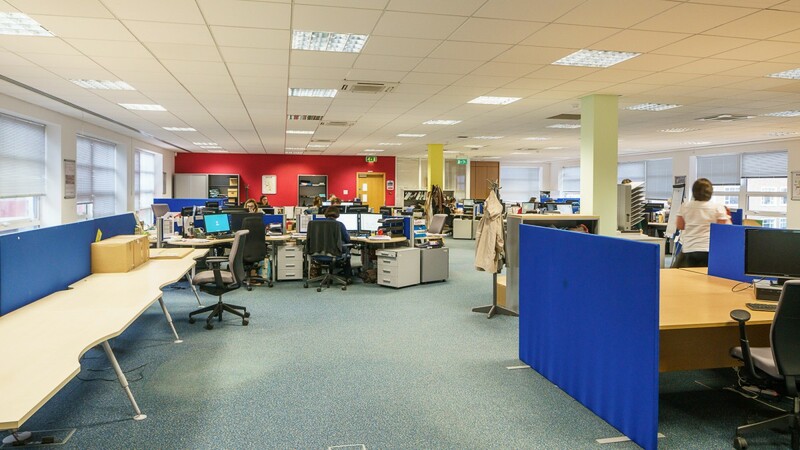 Prime office rents are now well established above £20 per sq ft with the latest lettings being St Pauls Place, Arup 16,000 sq ft - £23 per sq ft (excluding parking) March 2016 and St Pauls Place, Handelsbanken 3,353 sq ft - £23.50 per sq ft (excluding parking) March 2017. 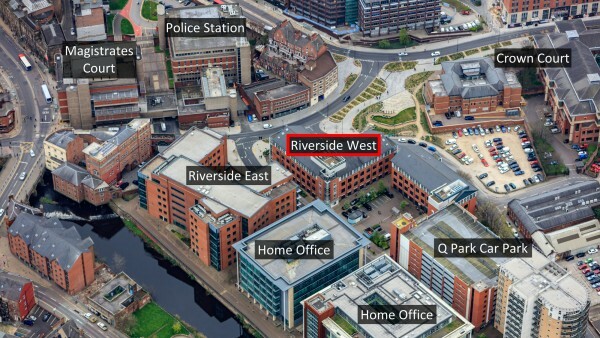 With the potential for rents of £22 per sq ft being achieved on the adjacent Westbar Square development the potential for future rental growth on Riverside West is strong. Riverside West is a detached office property completed in 2001 totalling 40,592 sq ft (3771 sq m) over ground and 4 upper floors. 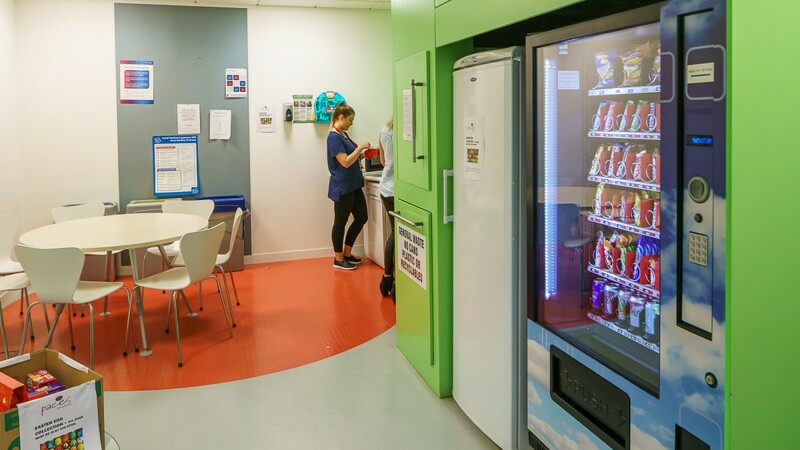 All floors are used as office accommodation with the exception of the smaller 4th floor which is utilised as storage and plant room. The property is of a steel frame construction under a flat roof with red brick elevation and has excellent levels of natural light. 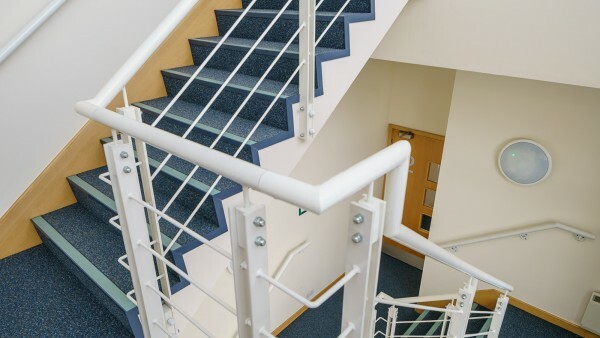 The building is configured as an L shaped floorplate offering flexibility to sub divide on a floor by floor basis. 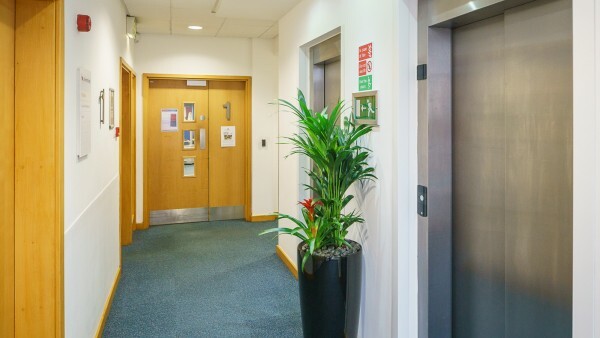 Air conditioning & heating, suspended ceilings, raised floors, 2 lifts and WC facilities to each floor. 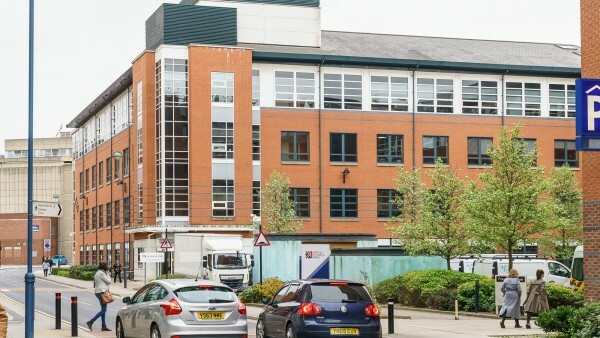 Externally the property benefits from 7 car parking spaces (2 disabled). We estimate the site area to be approximately 0.23 hectares (0.58 acres). 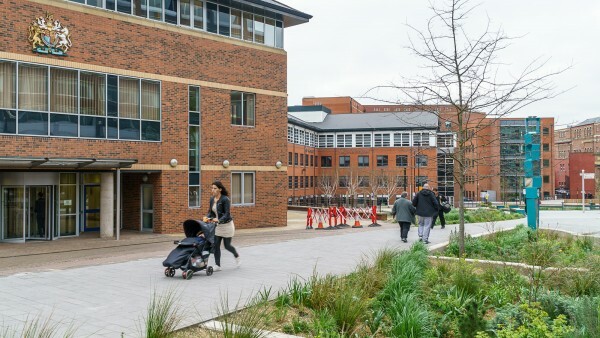 A Phase I Environmental Review was carried out by Ramboll Environ in April 2017. The report concluded that the site is suitable for current use and considered to be of low to moderate risk in terms of the potential ground contamination. A copy of this report is available to download and can be made assignable to a purchaser. 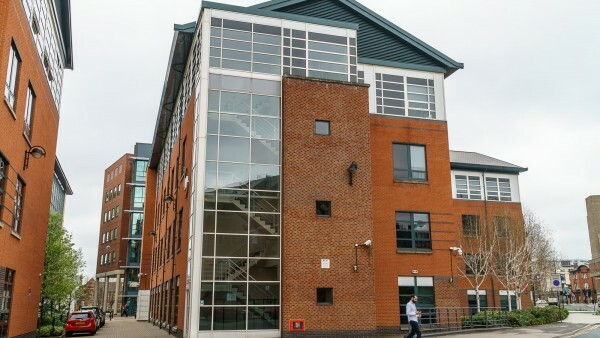 The property is entirely let to Irwin Mitchell LLP on a Full Repairing and Insuring lease for a term of 7 years from 29th September 2016, expiring on 28th September 2023 at a passing rent of £555,000 per annum (£147.17 per sq m / £13.67 per sq ft overall). 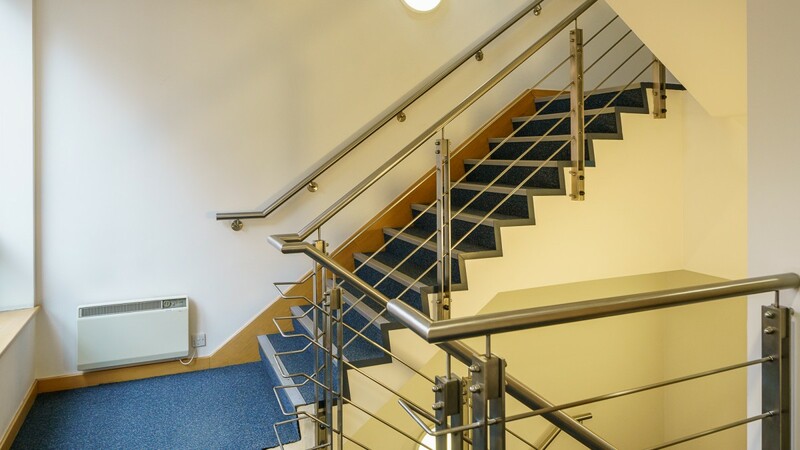 The lease benefits from an upwards only rent review on 29th September 2021. 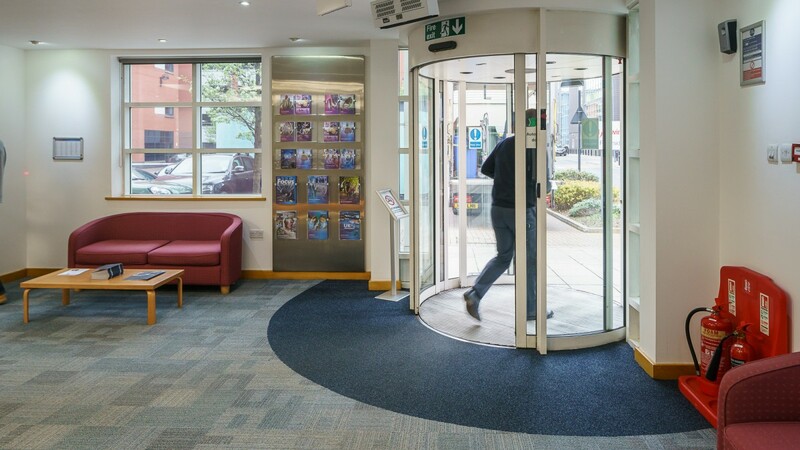 The tenant has been granted a 20 month rent free period expiring on 29th May 2018. In order that a purchaser does not suffer an income shortfall the vendor will top up the rent on completion by way of an adjustment to the purchase price. 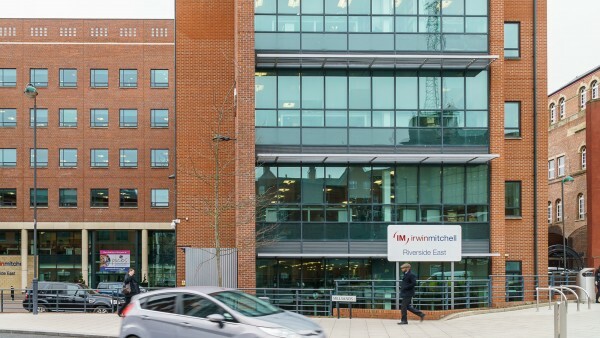 Irwin Mitchell have occupied the property since it was first completed in 2001. The original lease was granted in 2001 for a term from 29th September 2001, expiring on 28th September 2016. 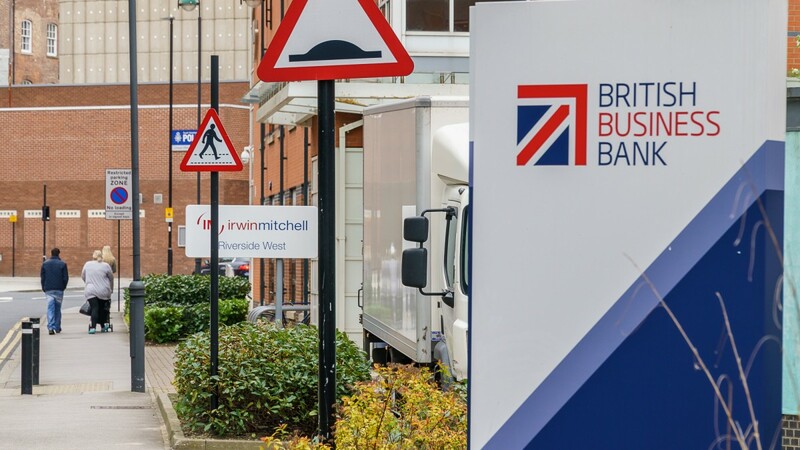 The original lease was taken by Irwin Mitchell partners, but (with the landlord’s consent) was assigned to Irwin Mitchell LLP in 2009. The current lease was a reversionary lease granted to follow on from the original lease. We understand the rateable value for the property is currently £415,000. Irwin Mitchell is a nationally acclaimed law firm with a strong international capability, offering a broad range of legal services to national and international organisations and institutions, small and medium-sized businesses and private individuals. The firm was founded in 1912 by Walter Irwin Mitchell. 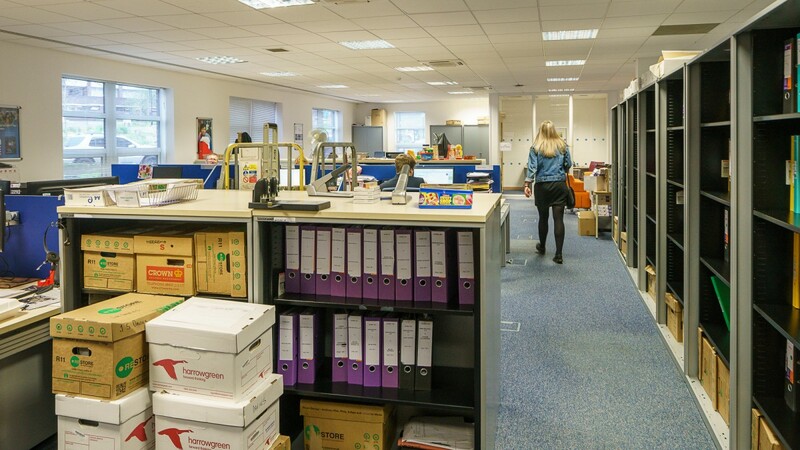 With a concentration on criminal law, he aimed to provide the highest quality legal services to the general public from his small legal practice in Sheffield. Today, Irwin Mitchell is the 11th largest law firm in the UK and amongst the top 50 in Europe, operating out of 16 UK offices including a consulting office in Middlesbrough. The company currently employs over 2,500 members of staff with over 300 partners and over 1,480 associates, consultants, senior advisors and fee earners. 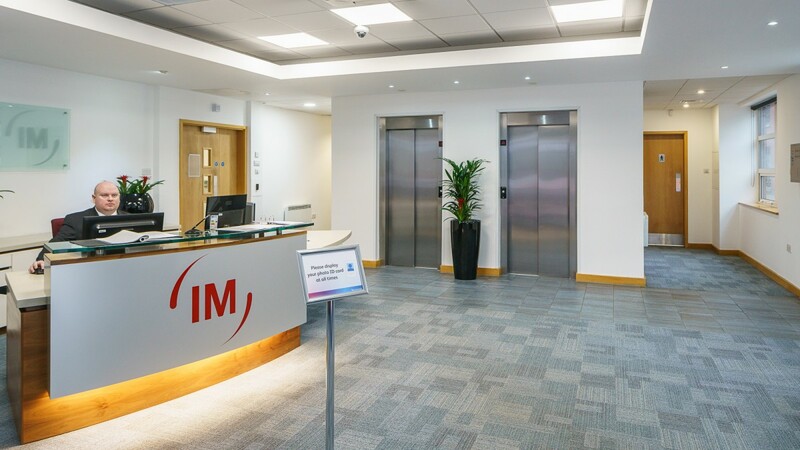 It is the largest ‘full service’ law firm in the UK. 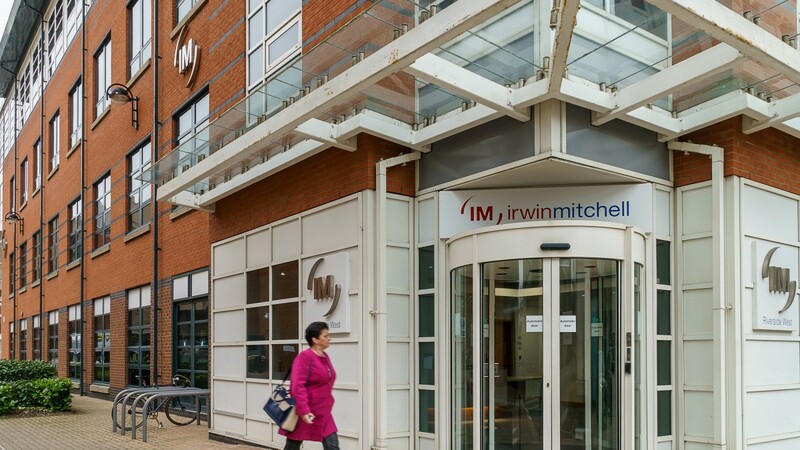 In December 2015 Irwin Mitchell acquired Thomas Eggar LLP, the largest merger in the firm’s history. Revenues have increased by 7% to £199m largely as a result of this. 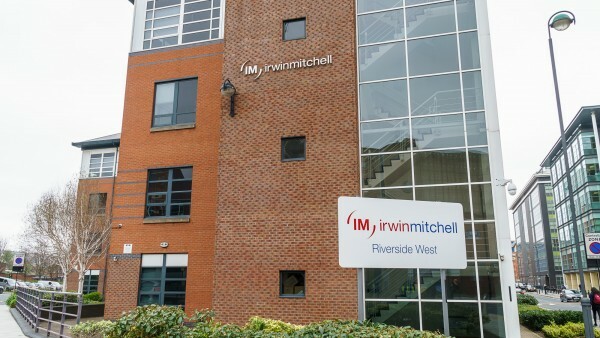 For further information, please visit www.irwinmitchell.com. 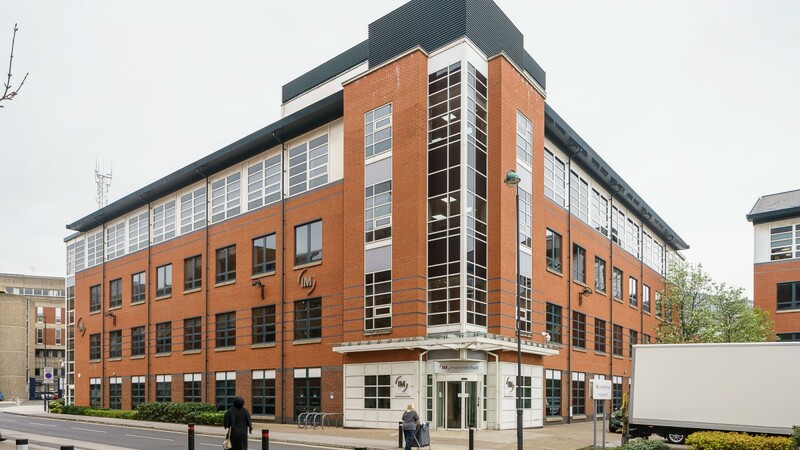 We are instructed to seek offers in the region of £7,080,000 (Seven Million and Eighty Thousand Pounds), subject to contract, reflecting a net initial yield of 7.35% and capital value of £1,877 per sq m / 174 per sq ft, assuming purchaser’s costs of 6.65%. 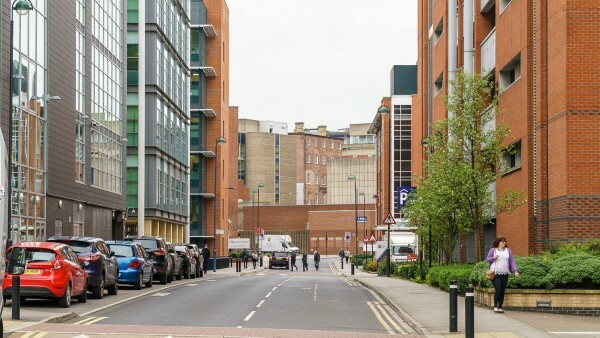 Sheffield is England’s fourth largest city and the commercial, administrative and retail centre of South Yorkshire.